Upon initial inspection, special (safe) Alkaline based chemicals are saturated on your floors to help emulsify and uplift soils. A “Turbo” Cleaning tool which hovers over your floors is a specially designed tile & grout cleaning tool powered by a 4-cylinder engine producing consistent hot steam and suction (2 Hoses will safely enter your home or business). When this process is completed, the difference will be night and day. All floors have different visual results, however the end result will be dramatic. As a final step, quality clear water-based sealer is applied to help spills and stains stay on top (bead/repel) on both the tile and grout. 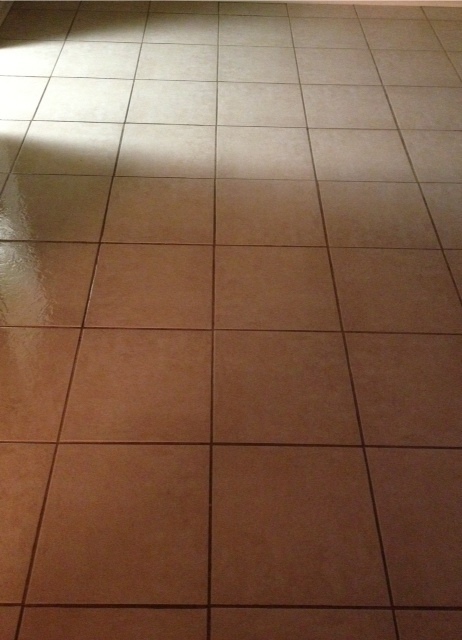 The water based sealer will not change the composition of the tile or the grout and will leave your floors looking natural. 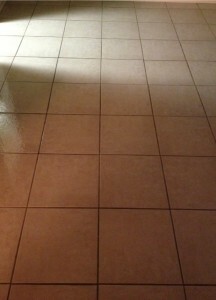 We recommend your tile and grout is cleaned and sealed using the process once a year, to keep your floors looking “like new” year around! Your floors will look aesthetically beautiful as well as healthy fresh!